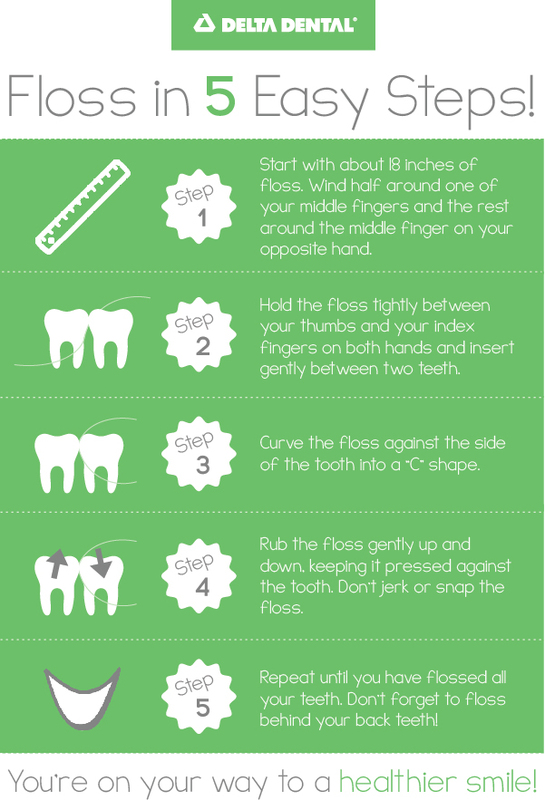 Flossing is the single most important thing you can do for the health of your teeth. That’s because the friction created by floss rubbing against your tooth removes plaque much easier than brushing alone. When it comes to getting into every nook and cranny, there are 5 steps that will make your cleaning much more efficient. Follow these 5 steps once a day, brush your teeth with fluoride toothpaste twice a day and visit your dentist twice a year for a healthy smile that you will want to show off!